Get ready, because this week we are covering our visit to the office of yet another heavyweight in the field of architecture and planning, and quite possibly one of the most influential urban designers of our time. If you know the tiniest bit about urban design, you have probably heard of Urban Design legend, Jan Gehl. Even if you haven’t heard of him, your life has undoubtedly been impacted by his work, even without knowing it. 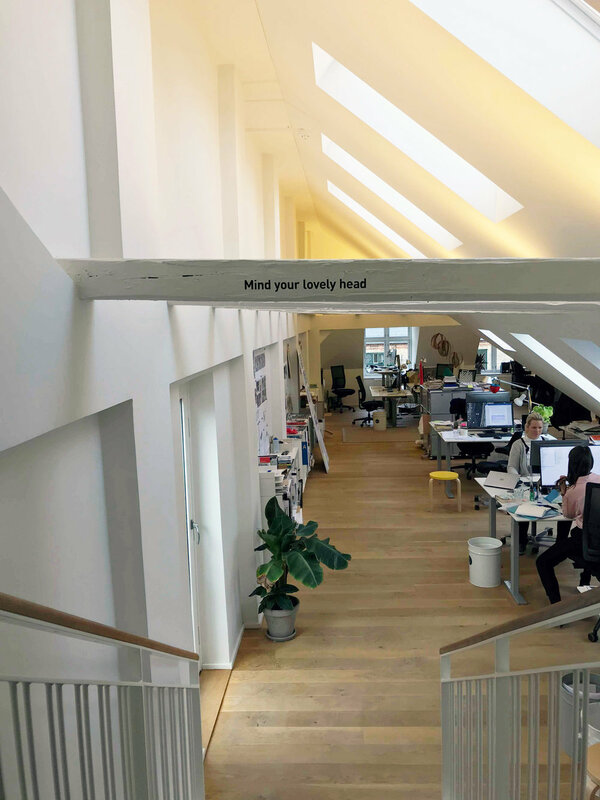 Jan’s office: Gehl Architects (now just Gehl), opened in the year 2000, after already having amassed 25 years of study and research into human centred urban planning strategies. The office works with both private clients (like universities, developers and IKEA!) and governmental organisations to help develop and implement urban design strategies in major cities around the world. But they are also involved in policy development for governments; In fact, in 2014 Denmark implemented a new National Architecture Policy, which emphasizes the need for a ‘putting people first’ approach to architecture, based on Jan Gehl’s research- research that has now influenced the framework by which all other architectural developments are assessed in Denmark. Gehl has 3 offices, in Copenhagen, New York and San Francisco, and an astounding portfolio of work including design and policy strategies on every habitable continent on the earth. 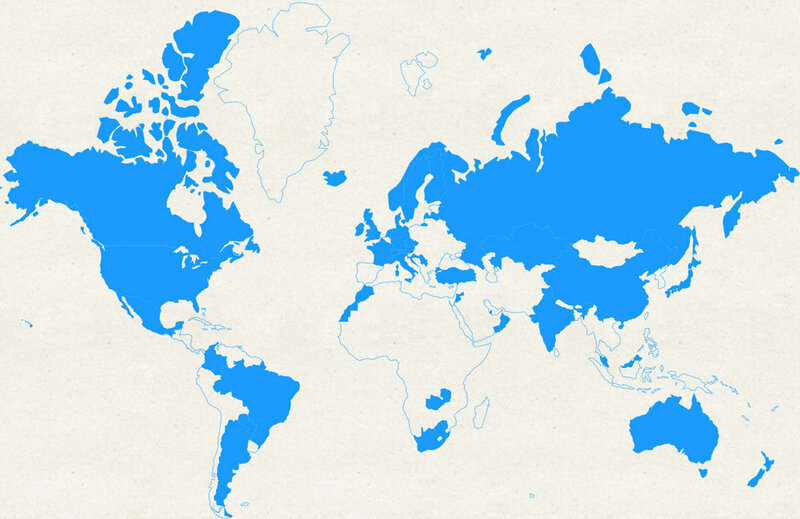 Seriously, they have worked in more countries than we could list in this post! The image below is taken directly from their webpage, so you can see how influential Gehl has been in shaping cities across the globe. Some of Jan Gehl’s most notable projects include pedestrianizing Time Square in New York, helping transform Melbourne into the world-class alleyway café (and hipster) capitol of the world, the redevelopment of George Street in Sydney and a project that is closer to our hearts- a redevelopment strategy for the University of Sydney. So you can imagine our excitement when we were given the opportunity to not only visit their office here in Copenhagen, but to meet Jan Gehl himself! We were shown around by Swedish architect and Urban Planner Jonna Ekholm. Jonna has been with Gehl since 2016, and has worked on a number of significant projects for the office. Jonna is passionate about what she does, and how this can benefit humanity. Jonna told us that Gehl has approximately 40-45 staff in Copenhagen, and another 20 based in the USA- an amazingly small number of staff given the impact the office has had worldwide! The office is split into 2 teams- one that deals with new developments and master planning, and the other that that works with existing urban conditions. The office employs many foreigners, and English is the common tongue. Gehl has 3 primary focuses: Architecture, Urban Design and Landscape, but within these focuses the backbone of their work stems from rigorous study, analysis and reporting, which constitutes to about 50% of the work they do. But the office doesn’t only employ architects and planners, they also have anthropologists and engineers- an important aspect to their multi-dimensional approach to understanding the needs of the people that create and inhabit the cities. This interdisciplinary approach has been integral to Gehl since the beginning, when Jan and his wife Ingrid (a developmental psychologist) began their first study on the interaction of people and cities in Italy, which led to the publishing of his first book- ‘Life between buildings’. 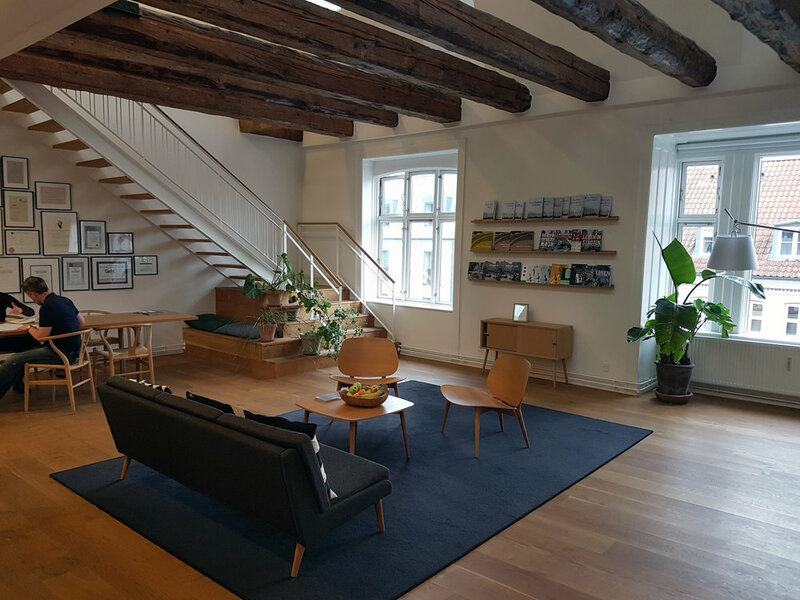 Gehl’s Copenhagen office is located in Vesterbro- just south west of the old city centre, in an attic space that the office converted. Of all the offices we have visited during our time here, this is one of the warmest, homeliest offices we have seen. 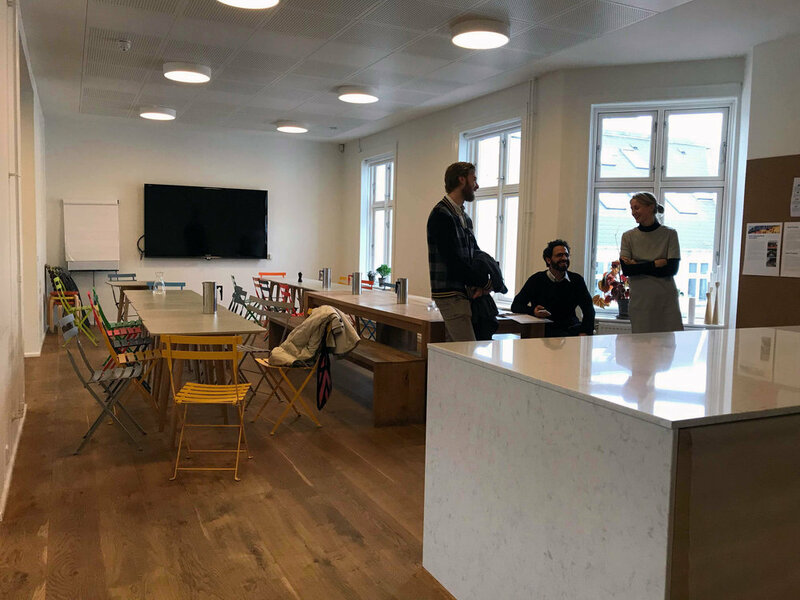 Unlike many offices that utilise an open plan layout, the space is broken down into smaller, more intimate workspaces and meeting spaces, all arranged around a typical Copenhagen courtyard providing natural light to each area. 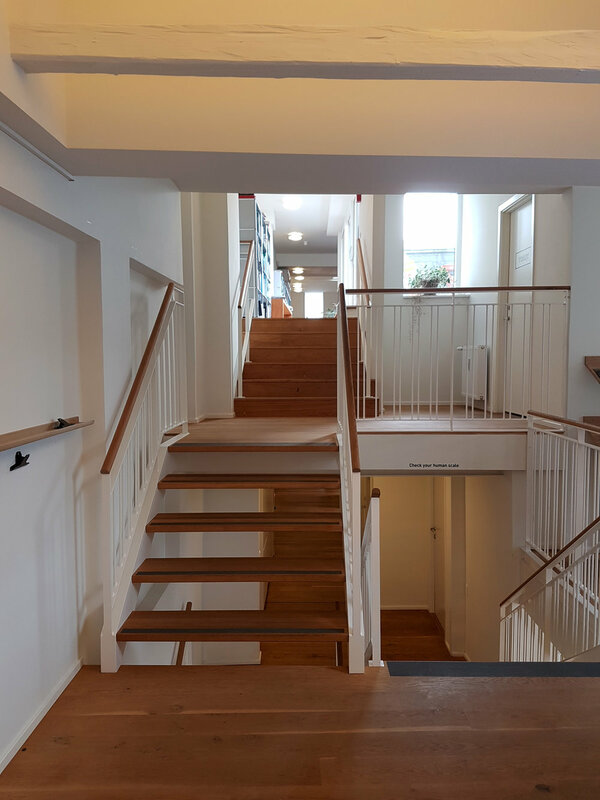 There is also an interesting interplay between levels that creates a very residential feeling- more like visiting someone’s home than an office. It’s not residential and not commercial, but ‘resimercial’. The lounge furniture and pot plants scattered around the spaces also adds to this homely, comforting vibe, and we immediately felt relaxed and at ease within the space. A great environment for reducing stress and anxiety in a profession that is notorious for such emotional pressures. Being University of Sydney alumni both of us, we were particularly interested in hearing a little about the work that Gehl has done for USyd, and since we know a lot of USyd affiliates will be reading this, we thought we would give you a little sneak peak at the work Gehl has done for the university (and which can’t be found on their website). Gehl undertook a Public realm and campus design principles study in 2016-2017, and have continuing involvement with the university in an advisory role. 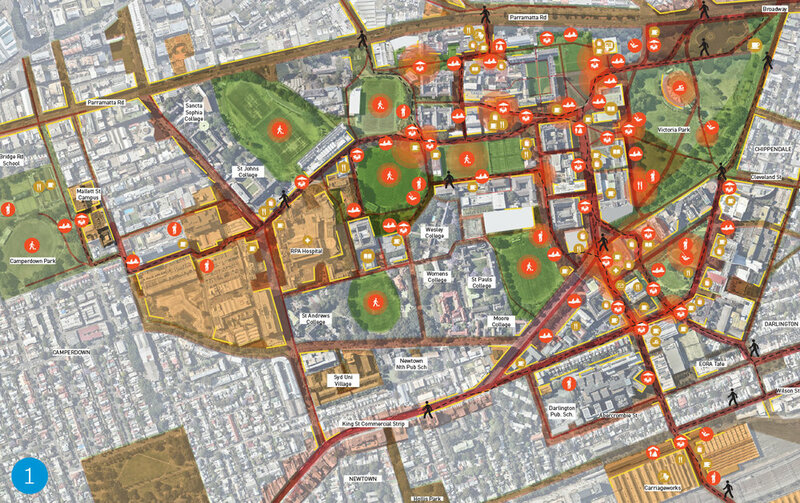 Their study outlined a series of ‘now, soon and later’ strategies that would frame the context for future projects, improve connectivity to the neighbouring areas, improve pedestrian links within the university and setup a long-term spatial vision for the public realm. Although we can’t say much more about it at this point, we are certainly keeping an eye on the development, and will be paying the university a visit when we are in Sydney next time!